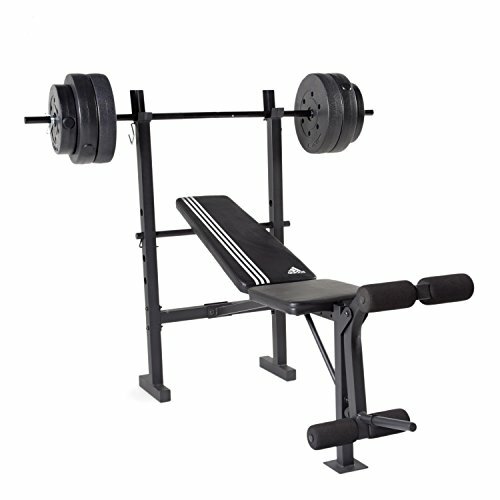 The adidas essential combo weight bench with 100-pound barbell set is the perfect Starter bench. Designed with a compact frame design and easy assembly. This combo bench set includes both the bench and a 100-pound vinyl weight set, making it ideal for home use.